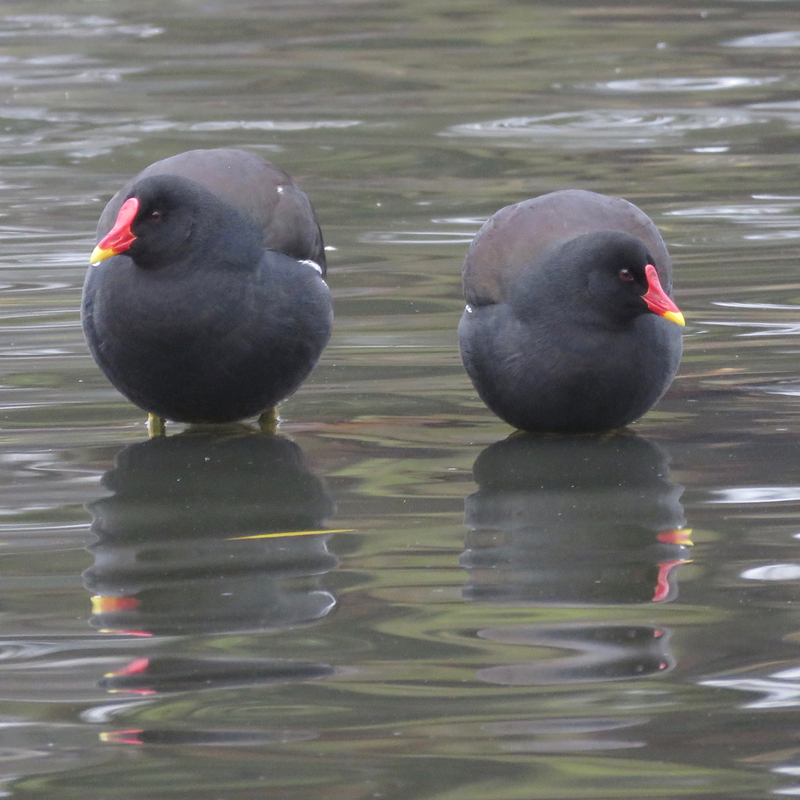 There are now two Moorhen pairs in the park. They own each one end of the pond, a pair owns the island and the other the 'rock' with a couple of clumps of marginal plants. Today the island pair was very cosy, both individuals together, the one on the left preening around the neck of its partner. Moorhen males are slightly larger and heavier than females, so the larger individual on the left is likely to be the male. The Coot pair abandoned the park after their two failed breeding attempts on the stolen Moorhen nest. It is not often that one sees a good picture of Moorhens so I am especially pleased to see this one. Thank you Africa.